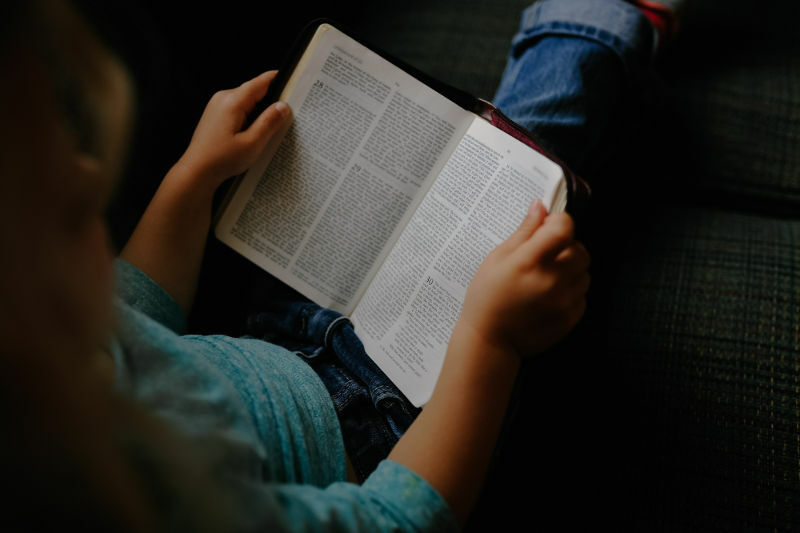 One of our primary aims as Christian educators is to get our learners in the habit of going to God’s Word for daily living and for help when trouble comes. It’s a wonderful thing to be able to quote just the right verse for an occasion. But it’s even better if you can point a child to the place in his own Bible where he can read God’s promise for himself. Here are some tips for making it happen. Many adults who are not regular in their Bible reading will scour Scripture for help in times of trouble. You’ve probably seen Bible bookmarks with references for specific situations. Children’s leaders should be prepared with a list of age-appropriate selections to comfort and counsel young learners. A child who has a fear of death or has lost a friend or family member to death would be comforted to know what happens at the end of life. Let him know God’s plan for His children according to Jesus: “Let not your heart be troubled in my Father’s house are many mansions. I go to prepare a place for you” (John 14:1-2). An overly anxious child who suffers from real or imaginary fears should know, “He shall give his angels charge over you, to keep you in all your ways” (Psalms 91:11). “Be strong and of good courage,” God said to Joshua, “for the Lord your God is with you wherever you go” (Josh. 1:9). Adults with a background in Bible study are able to grasp meaning in metaphor and simile. Adults can apply verses stripped of their context. Children need straightforward, crystal-clear meanings. They need words on their own vocabulary level. They need verses with immediate application to their lives. Don’t quote a Scripture verse phrased in a way that leaves a learner wondering what in the world you’re talking about. Another way to help kids want to apply God’s Word in their own lives during a crisis is to show how Scripture guides in other situations. When classmates neglect one who is absent due to illness, remind them that “a friend loves at all times” (Prov. 17:17). When the class bully starts acting up, he needs a reminder that “love does not behave rudely” (1 Cor. 13:5). Don’t forget to match your actions to your words when you use Scripture to comfort children. You are their living example of the abstract concept of God’s love. What a child hears on Sunday about God’s loving care must be supported by your actions in times of need. Unless you build a caring relationship with a child, what you say about love will sound meaningless.